Pirates of Tortuga 2 game developers, which offer you a unique opportunity to play through a browser. Pirates of Tortuga sends you into the world of Pirates of the Caribbean. The main goal of the game - it win Caribbean spaces. This game was created in the style of MMO and refers to browser-based games that can be played for free online. In Pirates of Tortuga 2 You have to play as a hard and fast rules, so will the lighter test. The main thing is to do the test set and fight enemies. Play Pirates of Tortuga 2 you happen if the PC has a capacity: OS: Windows 2000/XP Processor: Pentium 3, 900 MHz Memory (RAM): 128MB Hard disk drive (HDD): 500 MB Video: 2MB 3D video card with support for Direct. DirektX 8. 1 In Pirates of Tortuga 2 online interface can be exchanged for such languages: German, English, French, Spanish and Turkish. Not yet been created Russian version. Also, this game is created in three-dimensional space and has a high level animations. 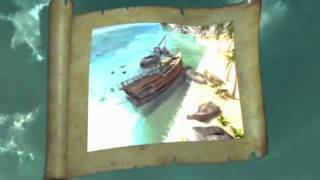 Boast Pirates of Tortuga 2 can new system of hostilities and the best level of video works. When you're captain of a pirate fleet Pirates of Tortuga 2 game, you will be able to build their settlements, grow and sell products and create your powerful pirate fleet. Join Pirates of Tortuga 2 will not make you one bit for work. You should do the following to register: 1) Log in to the main site Pirates of Tortuga 2. 2) Click on the words in the form of links «Register». 3) Find the submitted list of servers from the one on which you want to play the game. 4) Write your name. 5) Select your gender: male or female. 6) Enter your date of birth. 7) Think of the password and then enter it. 8) Repeat the password you entered. 9) Enter the address of your e-mail box. 10) If you are interested in information, but rather a novelty, game, put a tick in the appropriate box. Similarly do, sat agree with all agreements and rules of the site. 11) Then click on «Sing up for free and play today». Once you get into the Pirates of Tortuga 2, then you will be informed that your fleet crashed because of the storm, and most of the people killed the crew. At the beginning of the game you have to build a building and ensure the possibility to make delivery. Then tighten up your ship to the level of competitiveness. The main goal of the game Pirates of Tortuga 2 is to attract civilians to build buildings and industrial buildings. Your obligation to protect their possessions and be strong pirate undefeated fleet. Immerse yourself in the brutal world of Pirates of Tortuga 2, become sovereign pirate Baron, join the community, trade relations, and can feel like the most powerful pirate planet. Sign in Pirates of Tortuga 2, show that more than one water kingdom will not be able to resist such a strong pirate like you!